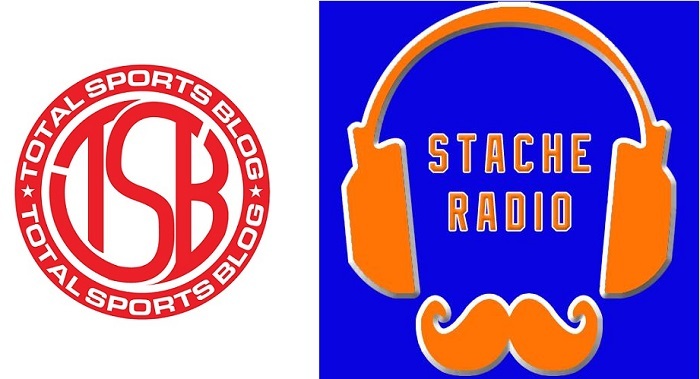 Join Earl (@EarlTSB), Jon (@JonPresser), and Matt (@DailyStache) as they talk about the world of sports. Last night they lead off about New York Yankees pitcher Michael Pineda getting caught with pine tar on his neck and getting ejected. As always, the New York Mets were touched upon as well. The NHL playoffs have been great so far, to they talked a little New York Rangers, as well as the Brooklyn Nets, and the NBA Playoffs. The NFL schedules were released last night and the guys give their take on some of the matchups. With Earl and Kevin off last night, Jon and Matt held down the fort, recapping last week’s performance by the New York Mets, as well as looking ahead to the week to come. Last night Earl, Jon, and Matt talked about a variety of topics. The show opened up with the Ultimate Warrior’s theme music. It was only fitting that his music was played, 24 hours after his tragic death. The guys bounced around a lot of baseball for the first half of the show, but then talked about NCAA Basketball, NHL, NBA, Ultimate Warrior, and finally, The Masters. Take a listen and let us know what you think! Earl, Matt, Jon, and Kevin were back at it again last night, talking 100% New York Mets baseball. One week is in the books, and the guys talked about the 2-4 start, closer Bobby Parnell’s season injury, the first base situation, and how the starting pitching has been. Thanks again to David, aka @Graves 9 for giving us a call, and to everyone who listened live.